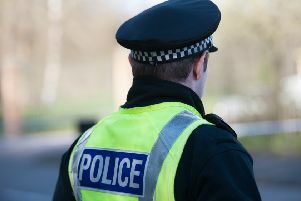 Police have arrested a man in connection with drink driving following a collision in the Hallglen area. The incident took place shortly after 7pm yesterday (Wednesday) on Island Crescent, when a BMW collided with five parked cars. The 40-year-old is expected to appear at Falkirk Sheriff Court today (Thursday). Sergeant Andy Angus, of Falkirk Police Station, said: ““We take a zero tolerance approach to drink driving and there will be an increase in proactive checks across Falkirk throughout the festive period to help keep our roads safe. “Driving whilst under the influence not only risks your own safety but it endangers every other road user and we’ve seen the devastating consequences this can have. Anyone with information or concerns about drink driving is urged to contact Police Scotland on 101 or report this anonymously to the charity Crimestoppers on 0800 555 111.